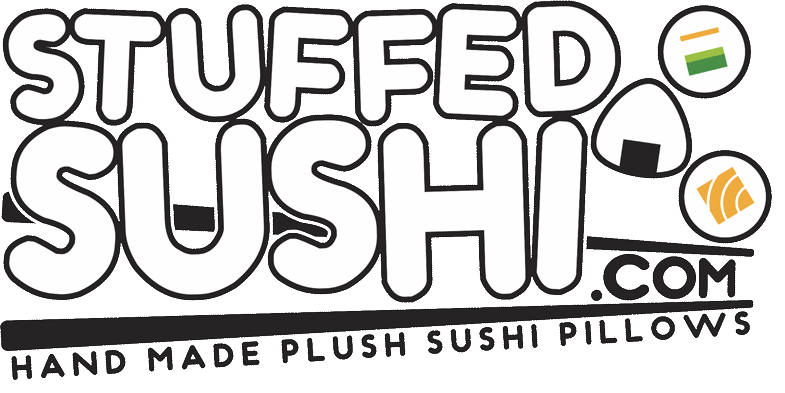 Thank you for visiting StuffedSushi.com !! Shipping Stuffed Sushi plushies is primarily an issue of product size. Our large sushi rolls are approx. 10 inches tall and 9.5 inches in diameter. The small sushi rolls are approx. 4.5 inches tall and 3.75 inches in diameter. Our products are shipped via US Postal Service. Please allow 1-2 weeks for delivery. Our shipping rates are based on the amount of purchase and the shipping destination. Your precise shipping rates are displayed during PayPal checkout. For shipping outside of the United States, please contact us.